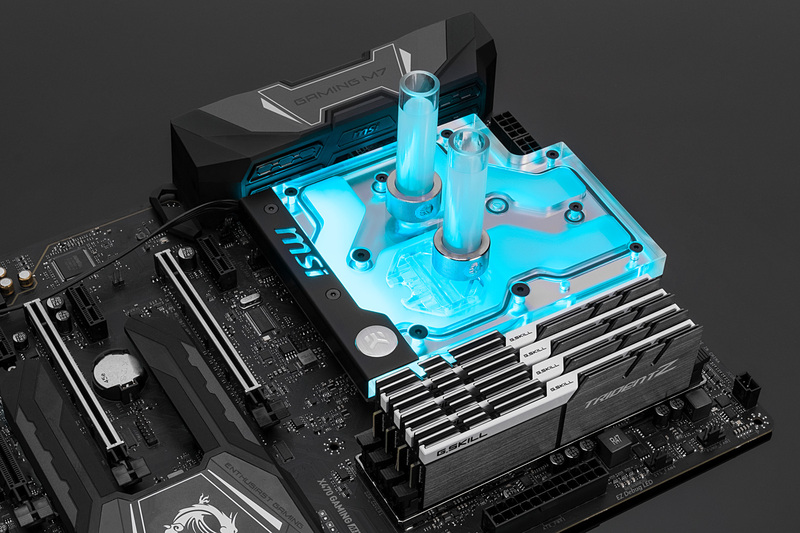 EK® is releasing a new AM4 monoblock for the MSI® X470 Gaming M7 motherboard! Designed and engineered in cooperation with MSI®, this monoblock uses award-winning EK-Supremacy EVO cooling engine to ensure the best possible CPU cooling. 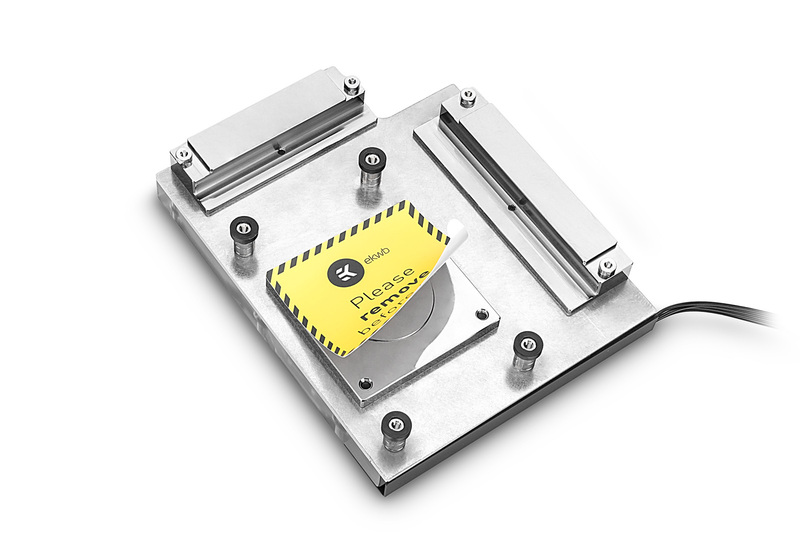 This water block directly cools AMD® AM4 socket type CPU, as well as the power regulation (MOSFET) module. Liquid flows directly over all critical areas, providing the enthusiasts with a great solution for high and stable overclocks. 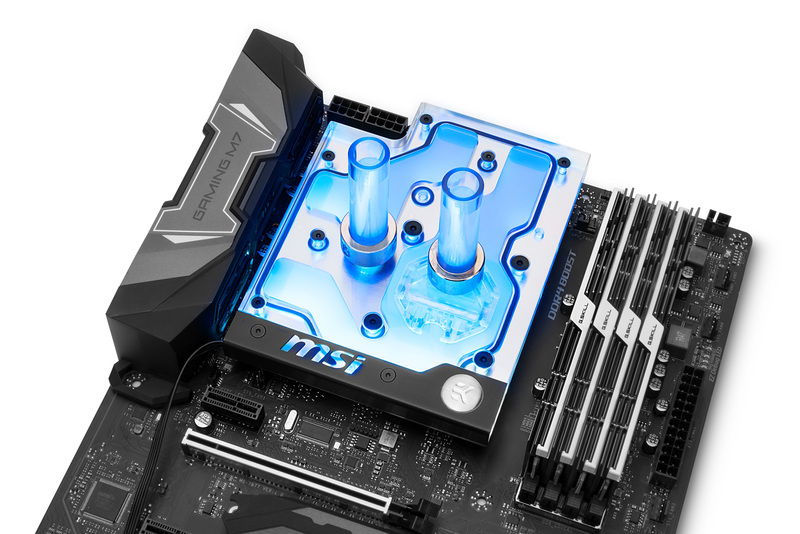 Like with every EK monoblock, EK-FB MSI X470 M7 RGB features high flow design and this monoblock can be easily used with the system using a weaker water pump as well. 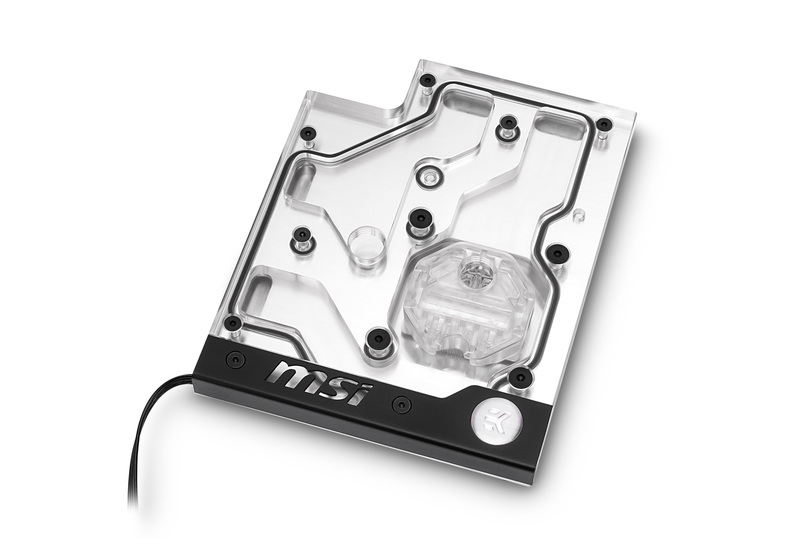 EK-FB MSI X470 M7 RGB Monoblock is made in Slovenia, Europe and is readily available for pre-order through EK Webshop and Partner Reseller Network. The EK-FB MSI X470 M7 RGB Monoblock will start shipping on Tuesday, 10th of July 2018! In the table below you can see the manufacturer suggested retail price (MSRP) with VAT included.